Make Your Mind Up Time! The Euronews television channel includes an item each day called “No Comment” which is a short piece of film with no commentary attached: viewers may make of it what they will. It is not our practice at Archaeologies to enter into debates in our pages by publishing letters or other material challenging what we have published, and we do not wish to offer this as a regular service to readers. However, in the early months of this year we received two such items which in fairness to those who wrote them we think deserve to be put in our pages. They both relate one way or another to coverage in our pages of archaeologists’ relations with Indigenous peoples which is a core theme of the journal and so highly appropriate for us to make more widely available. Richard Hutchings (Guest Editor of our April issue) takes us to task for an item in our Editorial in the December issue. He points out that we took no account of an item written by himself at the same time as we were writing our Editorial and offers his comment as a correction to what we wrote. Sheri Oz responded to an article by Talia Shay published in our April 2016 issue on the vexed issue of Israeli-Palestinian relations, and we felt it only fair to give the original author a chance to respond. We hoped to offer you at least one item of good news [from 2016], but even this seems to be disqualified by most recent developments. The long-time campaigning of the Sioux tribe and other activists against the Dakota Access Pipeline aims to protect the tribe’s sacred areas, defend the sustainable water source, and takes into account the pipeline’s devastating climate impacts. Outgoing US President Obama ordered the project stopped until the full environmental assessment of the pipeline impact will be available and as a result the US Army Corp of Engineers announced it will look for an alternate route for the Dakota Access Pipeline to cross under Lake Oahe in North Dakota. However, on 24 January President Trump signed the Executive Order to advance construction […]. This means the Sioux people have to fight again. Tribal opponents say they will fight a restart of the project in court. President Trump states that from now on it is going to be always ‘America first’, but he obviously means ‘Rich White America first’. It would seem that in Trump’s world view those campaigning Indigenous people are maladjusted citizens whose rights and needs are totally unimportant for the US white majority. Yet Trump did not invent “Rich White America,” a point aptly demonstrated by the fact it was around in the late 1700s when it founded American archaeology.2 Indeed, American archaeologists today largely work in service of Rich White America. Carman and Turek’s “othering” of Trump and Rich White America provides readers a safe and easy target and “fall guy,” diverting the collective gaze away from the fact that American archaeology is a highly racialized, highly corporatized technology of government (Gnecco and Dias 2015a, b; Hamilakis 2007; Hutchings and La Salle 2015a, b; King 2009; Smith 2004), as exemplified by the DAPL case. The rest of the story is that American archaeologists—most of whom are white and paid to enforce state laws governing Indigenous heritage—permitted DAPL and the destruction of Indigenous landscapes long before Trump’s arrival (Horn 2016). Indeed, as I write this, Trump has been in office but 75 days and the oil is already flowing under Lake Oahe (Horn 2017). This is not testament to Trump’s efficiency in constructing a 1885-km (1170-mile) pipeline but rather that DAPL was for all intents and purposes complete before he ever took office. Indeed, once Trump signed the go-ahead Executive Order on January 24, 2017, all that was required was to bridge a 335-m (1100-foot) gap under the lake and test the system, which collectively took under a month. 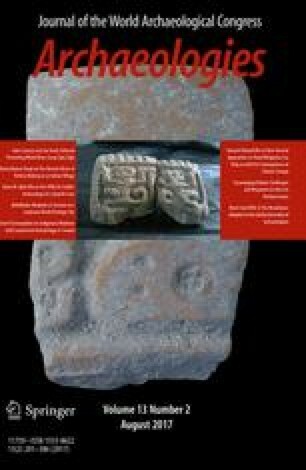 Carman and Turek thus join a long list of archaeologists who exclude from their evaluations and critiques—almost as a matter of routine (Hutchings and La Salle 2015a, b, c)—the pivotal role archaeology plays in Indigenous heritage destruction in the USA, as in other colonized places around the world (Gnecco and Dias 2015a, b). That this point has been made previously in relation to Trump’s election makes this omission in their editorial all the more disheartening (Hutchings 2016–17, 2017; Hutchings and La Salle 2017). One lesson here is to be wary of easy targets. In reality, DAPL was authorized by/under Barak Obama and American archaeology, not Donald Trump. In this regard, Carman and Turek’s narrative constitutes a significant misrepresentation (Hutchings and La Salle 2015c). Another lesson: it’s always easier to point fingers than look in the mirror. Given the alternative (ie., complicity, statecraft, institutional racism, ecocide, ethnocide, genocide), it is clear why the Trump narrative is so popular among Western heritage experts (eg., Ryzik 2016; see also Hutchings 2017). In this regard I follow Aleksandr Solzhenitsyn in that “We do not err because truth is difficult to see. It is visible at a glance. We err because this is more comfortable” (Jensen 2006:367). If we care to look, I think it is clear: “Donald Trump is a symptom of imperial decline, and not really the problem” (Nikiforuk 2017). 1Although “Looking Back and Forward” was included in the December 2016 issue, it was actually published in March 2017. The discrepancy is a consequence of the delayed publication of Volume 12, Issue 3, which allowed the editorial to be included, thus backdated. In reality, Trump did not taken office until January 20, 2017, so anything actually published in 2016 would be purely speculative. Rather, “Looking Back and Forward” was written in February 2017. This means the authors had access to my widely circulated essay “Trump Exposes Hypocrisy of American Archaeology” (Hutchings 2017), published January 23, 2017. 2Noted Rich White American, slave owner, and Third President of the United States Thomas Jefferson, for example, is canonized in disciplinary history as a preeminent founder of American archaeology (Chazan 2016:34). The temporal correlation (late 1700s) between the invention of American archaeology and the invention of America is not happenstance; rather, American archaeology and American nation-building are concomitant processes that continue today. Indigenous Archaeology or Political Archaeology? In her article in the April 2016 volume of this journal, entitled: “The ethnocracy of the Palestinian urban space and the indigenous approach: Praxis and theory,” Dr. Talia Shay discusses archaeological issues concerning neighborhoods in Haifa that have a predominantly Arab population. Shay characterized the population under discussion as indigenous, and I would like to challenge that determination as I feel it is both erroneous and divisive. I will address some of Shay’s statements and conclude by suggesting an alternative category for the kind of archaeology in which I believe she was engaged. I appreciate the opportunity to write a response to an article published on the pages of Archaeologies. I am not an archaeologist, but a retired psychotherapist who is now using my time to study and write about my homeland, Israel. I live in Haifa, walking distance from the Mediterranean Sea and a bicycle ride away from the places discussed in the article to which I am reacting. As the article’s author well knows, it is a challenging bicycle ride in places since Haifa is a hilly city. And it is a fascinating place in which to live, with a mixture of Christian and Muslim Arabs, Jews ranging from secular to Ultra-Orthodox from all corners of the globe, and members of the Bahai community who come to provide service to their World Center in Haifa and Acco. This article is a case study of the Palestinian recent past that produces a new knowledge on the maltreatment given to the archaeological remains of the Palestinians in the Late Ottoman period (18th to 20th centuries) by the dominant culture in Israel. The inequitable representation of the Palestinian-Ottoman heritage by the state creates both submission and resistance to the prevailing culture by the Palestinian citizens. The new knowledge created by this case study may be further used in order to understand the diverse experience of marginality of various contemporary dispossessed and displaced groups. Already in the abstract, we can see distortions: (1) The “Palestinian recent past” from the Late Ottoman period can be seen as including the Jewish residents as much as the Arab population of that time, but she uses the term to depict the Arabs alone. After the fall of the Ottoman Empire, the region was subsumed under the British Mandate of Palestine and the only residents of Mandatory Palestine who called themselves Palestinians were the Jews. In fact, Arabs living in the British Mandate, and later in the State of Israel and under Jordanian and Egyptian occupation in Gaza and Judea and Samaria (aka The West Bank), refused to call themselves Palestinians until well into the 1980s, more doing so after the signing of the Oslo Accords in 1993. (2) When Shay refers to “Palestinian citizens” she means the Arab citizens of Israel, some of whom now refer to themselves as Palestinians as a political statement. Any Jew born in Mandatory Palestine or descended from a Jew who lived in pre-1948 Israel could also legitimately call himself or herself a Palestinian. (3) Shay states that her paper will allow generalization from the “Palestinian” Arab-Israeli situation of Haifa to that of dispossessed and displaced groups in other lands. But the Arab-Israeli citizens living in Haifa are neither dispossessed nor displaced. Yes, there are former residents of the city who left the region during the 1947–1948 war, a great many of them, but her paper is not about them; it is about those who did remain in Haifa and now have citizenship and equal rights in Israel. That does not mean that Arabs do not experience prejudice because they do, just as minorities do around the world, but they are neither dispossessed nor displaced. Let me note that in the absence of power to change matters in this conflict, my minor contribution is composed of my efforts to expose some of the mischief done toward the Palestinian minority by the Israeli authorities within my profession. Interpretation of archaeological finds, like interpretations of other primary source data, is necessarily subjective, and I hope all academics openly state their personal biases regarding the subject matter. I want to clarify my own personal bias: I am a Jew, as is Dr. Shay, and I believe the indigenous population of Israel to be the Jews. While often small, there has been a continual Jewish presence in the region for close to 3500 years. The Arab population of Israel, on the other hand, is made up of the descendants of colonialists who invaded during the Arab conquests of the mid-7th century and who have lived here for hundreds of years, together with migrant Arabs who arrived during the 19th and 20th centuries along with waves of Diaspora Jews returning to the land from which they had been exiled 2000 years earlier. In fact, in recognition of the recent Arab migrations into Mandatory Palestine, UNRWA defined a Palestinian Arab refugee as anyone who had resided in the region beginning as late as 1946 and left or was pushed out during the 1948 war. I, therefore, view the Arab population of Israel in general, and Haifa in particular, as long-term residents rather than indigenous to the land. My critique of Shay’s work must be seen as consistent with my bias. I understand that indigenous archaeology is the term applied to cooperative ventures in exploring relics and remains together with the living descendants of those who laid down these structures and artifacts so that the descendants of the dominant colonial culture do not take over exploration of the history of the former. The bulk of examples in the literature pertain to archaeological digs taking place in Australia and the Americas with Aboriginals and Indian tribal peoples, respectively (Watkins 2005). However, the term, indigenous archaeology, is used in the academic literature without a clear definition having been either offered or accepted by the field. Sillar’s (2005) survey of the issue is the only comprehensive examination of the meaning of indigeneity and its complexities that I could find within archaeology. To my surprise, his paper has been cited only nine times. It should, in my opinion, become a foundation upon which debate can develop in order for academicians to develop a definition that can serve as an anchor and remain outside attempts to politicize it (as in Dr. Shay’s paper and there will be those who will accuse me of the very same). There are three major problems with currently accepted approaches to defining an indigenous people, and all three are relevant to my commentary: (1) If, as stipulated in Tribal Population Conventions 169, a people is accepted as indigenous just because they self-define as such (Sillar 2005), that can create havoc; may I be so bold as to suggest that this is not different from the white Rachel Dolezal having defined herself as black? This is relevant here because there are two groups self-defining as indigenous—the Palestinian Arabs and the Jews—and objective criteria for evaluating their claims should be in place. (2) If the definition of “indigenous” includes necessarily being an oppressed minority (as discussed in Watkins 2005), does that mean that if that oppressed minority gains sovereignty and develops a strong nation-state, they can lose their previously recognized indigenous status? Is that what would happen to the Yazidis, for example, were they to achieve the right to a state of their own? Is that why it is difficult to accept the Jewish claims of indigenous status in Israel and Judea and Samaria? (3) How much of history must one consider when examining the pre-colonial status of a people in order to distinguish them as indigenous? This latter point will be discussed at greater length in the next section. In Israel most of the Palestinian remains dated to the late Ottoman period from the 18th century and on, are found in the older sectors of “mixed cities” of ethnic divide. These remains have been transformed by local authorities into either gentrified parts or into Orientalist “premodern” tourist sites that are no longer related to the Palestinian heritage. This attitude toward the Palestinian remains stands out in contrast to the extensive reconstruction of Jewish remains, both ancient and recent. There is no argument regarding her declaration of the origins of the modern City of Haifa. However, she disingenuously avoids mentioning the long history of settlement in the Haifa region and even of the name Haifa, beginning with the fact that Mount Carmel upon which part of the city was built, Shiqmona, [Old] Haifa, and the Kishon River alongside Haifa, appear in Judaism’s sacred writings. An interesting overview of Haifa in the Talmud, including the lives of important rabbis who lived and died here, can be found in a piece written by Prof. Yoel Elizur (undated). While the town was overshadowed by Acco just to the north for much of its history, it was populated throughout the ages, periodically ravaged by the same empires that sent Jews scattering from all parts of Israel, long before Ottoman times. The pre-Ottoman history of Haifa has been discussed by Gil (1992) and, more recently, by Taxel (2013); both describe continuous Jewish settlement on the south side of Haifa Bay. The fishing village was apparently also a commercial center of some importance from Roman times until the late Islamic period when it was finally conquered by the Crusaders. In the introduction to his book, Carmel (2011) describes it as having stretched between present-day Bat Galim and the German Colony; in addition to fishing, he says residents were engaged in the dye industry and glass production. Further south there was one Christian town, possibly two. Christians in the region at that time were likely mainly converts from various extant local pagan tribes. These towns were apparently abandoned during the Muslim Conquest of about 640 CE, and they were never restored (Taxel 2013). According to Gil (1992), the Jews lived within the walled city and paid taxes to the Muslim administration after it fell to them. Given the history of the coastal region in general, and Haifa in particular as presented above, it puzzles me, therefore, how Shay can refer to the Israeli Arabs as the indigenous population. It is clear that Jews were living in the region for centuries before the Arabs conquered and colonized the region beginning in the mid-7th century. A conquering imperialist invasion cannot supplant an already indigenous population and take over indigenous status unless it completely wiped out that earlier population either by massacre or by absorbing them. This did not happen as the Jews, while reduced in number, were never wiped out and they continued to live on the land as a distinct population until the ingathering of the exiled Diasporas from Europe, northern Africa and Arab countries changed the demographic balance of the area that became the modern State of Israel. While I have my own political and nationalistic reasons for ascribing to the Jews of Israel indigenous status, I think I am also promoting academic clarity and purity by doing so. If an indigenous people is one that is present before a foreign colonial power invades and dominates the scene (Sillar 2005), then it is important to identify the foreign colonial invading power. Shay implies that the European Jews comprise this colonial invasion, and I claim that the European Jews and Jews from Arab countries and northern Africa were merely coming home to their ancient homeland. The colonialists and invaders in the case of Israel were the Muslims who ravaged the Middle East, northern Africa and southern Europe, converting many different local indigenous peoples to Islam and assigning dhimmi status to those who refused to submit. Shay begins counting history from the Ottoman period, and I begin counting history from ancient times. That provides totally different contexts for understanding population dynamics. It must evoke anger and shame among the Palestinian spectators, and is culturally meaningless to the Jewish spectators (eg., Holtorf 2013). The reference to Holtorf (2013) implies that he wrote something about anger and shame, cultural meaningfulness, and/or perhaps about Palestinians and Jews. The first and last are not true and only one, cultural meaningfulness is tangentially relevant. Holtorf wrote a theoretical paper about authenticity and pastness of archaeological structures, emphasizing that authenticity lies within a cultural context. Using his paper as if it gives support for the sentence above is highly misleading. I wonder what Holtorf, himself, would say about this. I would have expected, instead, for a statement regarding the feelings of Arab and Jewish spectators to have been based upon an actual empirical study, something that should not be difficult to carry out. Such sloppiness, the making of unfounded remarks as if they are based on solid evidence, leads me to question the trustworthiness of other statements, whether these are stated as observations, assumptions or conclusions. It would be more correct to refer to Shay’s work with Israeli Arabs on the archaeological examinations of their neighborhoods in Haifa as “Community Archaeology” rather than “Indigenous Archaeology.” There is equal value in conducting archaeological studies with the communities descending from those who established them whether or not they are part of the indigenous population. All minorities, regardless of the length of time they have been in the region, have important stories to relate, and control over the unearthing of their histories and the telling of them should belong to them—as long as there is no attempt to rewrite history to create a “narrative” that distorts history for political purposes. Shay’s work seems to pit Jews against Arabs in Haifa. This is unfortunate since Haifa prides itself on being one of the most tolerant cities in Israel. Interestingly, Haifa seems to have a kind of DNA of mutuality that began long ago. In the year 1100 or 1101 CE, the Muslims and the Jews fought together against their common enemy, the invading Crusaders who attacked Haifa in their attempt to gain access to the inner reaches of the region (Gil 1992). While Haifa eventually fell to the fierce Christian forces from Europe, this early experience of Jews and Arabs fighting shoulder to shoulder against a common enemy may have remained in the psyches of our two peoples. Much later, during Mandatory times, Haifa was unique among mixed municipalities for its positive experience in conjoint Arab-Jewish leadership even as hostilities grew in the rest of the country (Goren 2006). While I agree that there may be insensitivity in the way Arab structures from Ottoman times are handled by city planners (some of whom may, in fact, be Arabs), and I appreciate Shay’s identification of that problem, there are ways to work within the cooperative Arab-Jewish framework of relations rather than antagonize either side. I suggest that using a community archaeology strategy, rather than inventing an indigenous status for the descendants of the Muslim colonialists, would provide the means for doing just that and would also help keep politics at bay in the field of archaeology. In Archaeologies 12 (1) 2016 an article titled “The Ethnocracy of the Palestinian Urban Space and the Indigenous Approach: Praxis and Theory” was written by me. Recently, I received an offer from the journal editors, for which I am grateful, to respond to a comment on my article, which the journal is considering publishing, because it links to one of the topics discussed (with my participation) in the WAC meeting in Kyoto 2016. Regrettably, the commentator has missed the main points of my article and turned the issue into a simplistic contest of who has the “right” to be regarded as indigenous and who has not. In the article I discussed the neglect of Palestinian building remains from the Late Ottoman period (18th–20th centuries) in downtown Haifa by the authorities, in spite of their historical and aesthetic values. This attitude stands out in contrast to the careful reconstruction of Jewish building remains found in the same area and dated to the beginning of the 20th century. My article is based on a long-term case study that I have conducted in downtown Haifa, my hometown. This study included my participation in numerous tours conducted by different institutes in the area, many such tours that I have guided myself, and numerous interviews that my students and I have carried out during the years with the residents of the area. Furthermore, the literature mentioned in the article indicates the inequitable attitude toward Palestinian remains from the late Ottoman period in other “mixed cities” in Israel. Much of this article deals with the theoretical framework called the “Indigenous approach”, a primary approach of the “contemporary archaeology” that has become an important subfield within the discipline since the end of the last century (Buchli and Lucas 2001). Contemporary archaeology, or the archaeology of the recent past, takes care of the “black hole” existing between the archaeological past and the present that is condemned to oblivion because we are personally involved in it (Gonzalez-Ruibal 2008). In my article I mention some of the flaws of the Indigenous approach, such as its restricted title, as criticized correctly by the commentator. I also mention its advantages that have made me prefer it to other approaches within contemporary archaeology. These include the negating of hegemonic, prevailing ideas of nation and state that describe the ways of life of the “others” as “timeless,” un-modern, or non-Western, etc. By giving a voice to previously silenced and marginalized people who all too often have had little say in decisions over their heritage, the Indigenous approach transforms their historical phenomena into the postmodern gaze, on an equal status to the prevailing hegemonic ideas. The term “Indigenous archaeology/approach” appears more than a dozen times in my article when referring to the period between 18th and 20th centuries, which I have chosen to study. This archaeological approach does not refer to the definition of the word Indigenous people, as misunderstood and therefore discussed at length by the commentator. Needless to say, the question of who preceded who in Israel, what is the origin of the name “Palestinian,” or that there are other ancient remains in Haifa from various periods (that I have had the opportunity to participate in their excavation) were beyond the scope of this approach. The commentator has also misunderstood the purpose of mentioning, eg., Holtorf (2013). While referring to the tasteless “quotation” (reproduction) of artificial cement arches replacing the arched entrances to the Palestinian houses now abolished, I mention that these artificial arches are meaningless to the spectator, since they evoke nothing culturally or aesthetically recognized by either a Jew or an Arab. In this context Holtorf was mentioned since he affirmed that “any object of the past relies on a contemporary perception and cultural concepts in order to be recognized” (Holtorf 2013:430). To conclude, my article does not intend to “pit Jews against Arabs in Haifa” or “to antagonize either side,” as suggested by the writer, but points to our obligation as a society to preserve historical and aesthetical remains, although or because they belong to a period that is condemned to oblivion as a result of the bleeding Israeli/Palestinian conflict in which we are personally involved. Elizur, Y. undated. Parashat Emor: Sunset and teruma: The Haifa connection. Retrieved from: http://etzion.org.il/en/parashat-emor-sunset-and-teruma-haifa-connection. 5 Feb 2017. Horn, S. 2016. Dakota Access Pipeline Tribal Liaison Formerly Worked For Agency Issuing Permit to Cross Tribal Land. DeSmog August 29. Electronic document. https://www.desmogblog.com/2016/08/29/dakota-access-pipeline-triballiaison-army-corps-engineers. Accessed 04 April 2017. Horn, S. 2017. Bakken Oil Now Flowing in Dakota Access Pipeline But Oil Trains to Remain on Tracks. DeSmog April 3, 2017. Electronic document. https://www.desmogblog.com/2017/04/03/dakota-access-oil-by-rail. Accessed 04 April 2017. Hutchings, R. M. 2016–17. Heritage in the Age of Trump. HGRG Newsletter Winter 2016–17. Electronic document. https://historicalgeographyresearchgroup.files.wordpress.com/2012/11/hgrg-newsletter-winter-2017.pdf. Accessed 04 April 2017. Hutchings, R. M. 2017. Trump Exposes Hypocrisy of American Archaeology. Institute for Critical Heritage and Tourism, January 23. Electronic document, http://icht.ca/trump-exposes-hypocrisy-of-american-archaeology/. Accessed 04 April 2017. Hutchings, R. M., and M. La Salle 2017. ICHT ‘Heritage After Trump’ Award Submission. Institute for Critical Heritage and Tourism, January 26. Electronic document. http://icht.ca/icht-heritage-after-trump-award-submission/. Accessed 04 April 2017. Nikiforuk, A. 2017. The New World Order: Failing States and Collapsing Systems. The Tyee, April 14. Electronic document, https://thetyee.ca/Opinion/2017/04/14/Failing-States-Collapsing-Systems/. Accessed 15 April 2017. Ryzik, M. 2016. Museum Officials and Archaeologists Sign Petition Against N. Dakota Pipeline. New York Times, September 21. Electronic document. https://www.nytimes.com/2016/09/22/arts/design/north-dakota-oil-pipeline-museum-officials-and-archaeologists-sign-letter.html?_r=0. Accessed 04 April 2017.